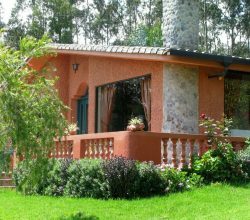 While this specific legislation is highly debated, especially as to the content just stated, as well as its true application and range of enforceability, our goal is to provide a very general report as to how the HIRE Act might impact a USA citizen, as a purchaser of foreign real estate, such as in Ecuador. This report is not intended to replace consultation with an experienced tax attorney or accountant. Originally designated to kick in January 1, 2013, but full regulation and disclosure subsequently pushed back to January 1, 2014, the core of the HIRA Act, as applies to the topic of this report, is that wire transfers sent to offshore locations could be subject to a 30% withholding tax. 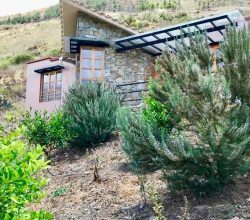 As a minimum, this legislation threatens to create a great deal of confusion, probable transfer delays and all around frustration for USA citizens selecting to acquire real estate in Ecuador (or anywhere else in the world). While not all payments are subject to withholding, for those payments that qualify, they can very well place the U.S. individual at a significant disadvantage when competing against other foreign individuals, for the same real estate asset, who are not required to comply with the HIRE Act. I want to pause right here for a moment and stress two critical points. First, I fall somewhere in the “middle of the road” camp when it comes to the true practical significance of the HIRE Act. While not falling into the “dire alarmist” camp, I can certainly see plenty of room for paperwork snafus, excessive caution on the part of your banker and the possibility of this being the first step down a very slippery slope. There is very little room for the “middle of the road” proponent, on this rather controversial topic. Sort of reminds me of a TV character, of a once popular and now off the air show, who once quipped, “The only thing you find down the middle of the road are dead possum and a yellow streak.” Still, that is exactly where I stand, on this topic. Second, even in a brief overview such as this, the HIRE Act is a conflictive and complicated subject. So, please, follow the bouncing ball. The HIRE Act aims to expand the IRS’s ability to track taxable dollars and other assets held by U.S. citizens overseas. Its purpose is either to have foreign institutions disclose account-holder information to the IRS, or generate reporting taxable transactions to the IRS, just as U.S. institutions already provide. When a foreign financial institution agrees to this, the institution receives an exemption from the IRS on the need to set aside a 30% withholding tax on the specific transaction. Note the wording, which not by “accident”. Thus far, we are talking “institutional transactions”. The apologists for the HIRE Act, many in the CPA field, always – quite accurately – emphasize that this withholding requirement is associated with institution-to-institution payments, from U.S financial institutions to foreign financial institutions. It does not affect funds going to individual client accounts. Yes, at first this does soothe me a bit. However, follow the progression. How are courts – and there will eventually be courts involved – going to interpret and define that “distinction”. The legislation is so vague that it leaves in question if the hit is taken at the institutional level, then what? They are not going to pass along that risk to the account holder generating the “questioned transaction”? Honestly, I don’t know what will or won’t happen and it doesn’t excessively alarm me, yet. However, it is impossible for it not to raise both my curiosity and concern. The implementation of HIRE Act provisions faces additional legal hurdles, because it may be illegal in certain foreign jurisdictions for financial institutions to disclose the required account information. Does this mean the additional complexity that foreign courts or international tribunals will eventually weigh in, thus further “defining” the meaning of the HIRE Act legislation? If so, what does that mean for USA account holders? Too many questions, not enough clear answers. In closing, I will reemphasize the mantra of those who suggest the HIRE Act is much ado about nothing. They will certainly stress that the HIRE Act does not impose an exit tax in the form of the potential 30% withholding clause. Technically this is true. Worse, it has been the most oft incorrectly quoted component of this legislation, at least as of the current iteration. However, for how long will this status quo last? Prior to Obama’s signature in 2010, there had been no HIRE Act. Legislative changes can move quickly. If nothing else, human nature tells me that bank functionaries are going to emphasize extreme caution, especially in today’s post 9-11 world. The proper reporting “burden of proof” that the transaction is legitimate falls squarely on the individual and their CPA. It is important that the person making these bank transfers be able to substantiate what the payments are for and thereby document whether the payment would be subject to these new withholding requirements. My “business sense” tells me that bank employees will generally make the assertion that these wire transfers to foreign locations are subject to withholding, unless the customer making the payment can adequately prove that the payment is not subject to the withholding requirements. While I firmly believe, for now, that most transactions will end “well”, I can’t help but contemplate after how much paperwork, debate and delay? 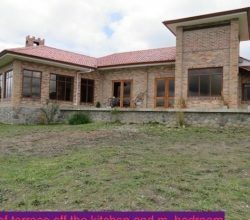 What impact will the latter have on your real estate transaction in Ecuador, if you are up against another cash buyer, from a non-USA country, who doesn’t have to jump through as many hoops? In the final analysis, the best advice, besides consulting a CPA or tax attorney, is to avoid the worst of the entire situation by contacting your tax accountant or attorney in advance of your purchase. They could thus be prepared to provide the necessary documentation to the bank, showing that your funds are not subject to withholding. Still, for many that make these purchasing decisions “on the fly”, it becomes complicated. 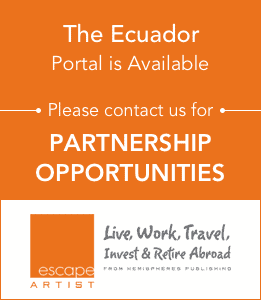 For those wanting to take advantage of the rare “exceptional deal” that Ecuador offers, they don’t tend to last long. It all boils down to a definite inconvenience, wrapped in a possible clear disadvantage. For my money and that of my clients, I advise where possible, make that real estate purchase prior to January 1, 2014.